Fall is all about chunky sweaters and tall boots, but as someone with wide calves, finding the right boots can be a challenge. Even the boots labeled as wide calf in stores don't always fit right, so I needed to find places I could shop. Thanks to stores like Avenue and Torrid, and online retailers, like 6pm, I can find cute tall boots that fit me. Sitting in a chair, measure the widest part of your calf with a tape measure. Then, you will be able to choose the boot with the shaft size that matches. Wide calf boot shaft circumference averages from 16-20 inches. Keep in mind that many retailers base the shaft circumference on the foot size...the bigger your foot, the bigger the calf circumference...this gets tricky when you have a small or average foot and wider calf. Here is a roundup of my favorite three from each retailer. 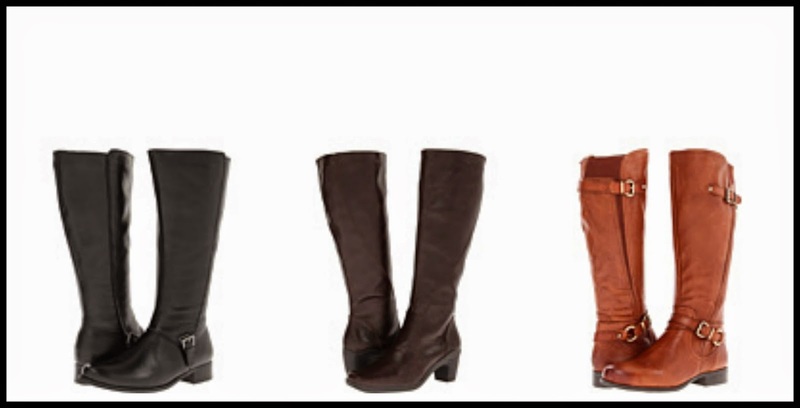 What is your favorite brand of wide-calf riding boots? I have tried ones at DSW, but they never really fit. Good luck! 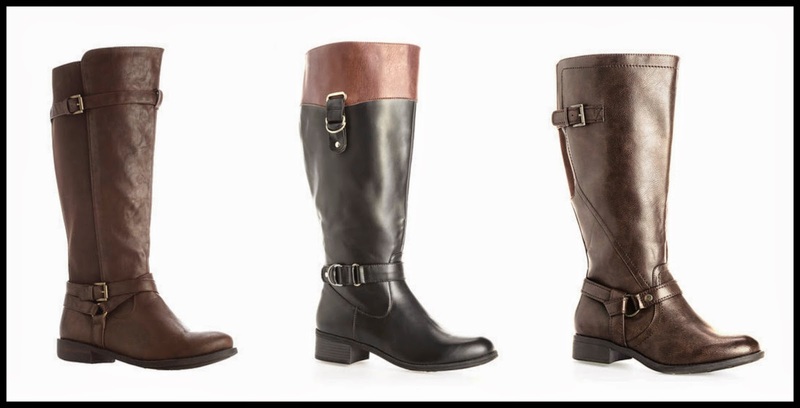 All of these are really nice boots! My closet already has about 7 pairs in it, though. I LOVE boots! And good for you for finding the best wide calf varieties! I have far too many myself, but it's so fun adding different styles. Thank you for stopping by, Lara! Oh I like that one in the top middle! I guess it's boot season up there already. Here, it was in the 90s yesterday, so I'm not quite ready to pull out the boots yet. It is boot season. Finally. Where you are, not so much. :-) Thank you so much for stopping by though. I'm having a hard time finding boots to wear when we go out riding on our motorcycle. 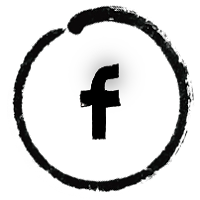 Thanks for the links! Good luck, Kamay! I hope you find the right pair for your rides. Thank you so much for stopping by. Nice! I'm not currently in the market, but I definitely have wide calves, so it's good to have more resources. Great round up! 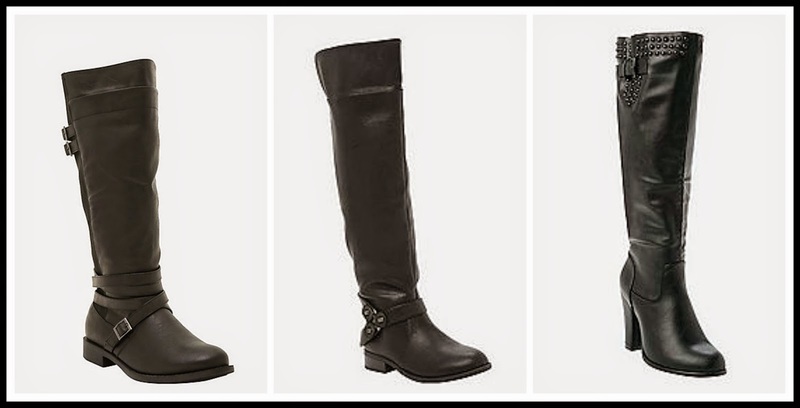 I also have a really hard time finding wide calf boots and love torrid or widewidths.com. they can be a bit pricey but their boots are quality made too. Thank you, Christine. I have a hard time too. I have not seen widewidths.com...I will have to check it out. Thank you so much for stopping by, and for the tip. I like the top middle too. Love boot season! I love boot season too, Nikki. Thank you so much for stopping by. Thank you! I love this list. Payless is supposed to have a wide calf too, but I can't ever find them. I never luck out at Payless, or Kohl's or DSW. But I did get lucky at these places. Thank you so much for stopping by, Cari. I love all of these. This year..I am buying new boots this year. I mean it this time. Good luck, Michelle. I hope you find the perfect pair. Thank you so much for stopping by. I look awful in knee-high boots but could really use a few pair. I will measure and check some of these out! Good luck, Steph. Maybe these will be too big. Better to measure to be sure. I hope you find the right pair. This is an awesome post. I have not been able to find boots that fit me and I live in Idaho where it's cold in the winter time! Love the links. Thank you! Thank you, Holly! These are not very warm, but they are stylish. Good luck. I hope you find the perfect pair. Thank you so much for stopping by. This is great, because I have big calves. I have found the wide widths at Payless work well, and I've even found a couple cute pairs at Kmart, believe it or not! Thanks for sharing at Fridays Unfolded! I love all of them and am not inspired to get a new pair :) Thanks much! Thank you for stopping by, Carolann. Have a great weekend!